One of the most recognizable restaurants in Cranford is The Garlic Rose, a downtown institution for over 10 years. Marc Corello, the owner of The Garlic Rose, began his culinary career at The Lodge in Cranford in the 70′s. He started off washing dishes and making pizzas and eventually graduated to Kitchen Manager at The Office. Marc opened his first Garlic Rose restaurant in Madison in 1996 and expanded to Cranford in 2002. Marc’s goal when he opened The Garlic Rose was to offer a different twist on traditional Italian cuisine. Every dish the restaurant serves incorporates garlic in some way. The most popular dishes at the restaurant include the Garlic Shrimp, Double Cut Pork Chop, and a number of their seafood dishes. Marc always reminds customers that every dish can be adjusted to their tastes, and the restaurant can accommodate people who don’t like garlic at all, as well as true garlic lovers. In the years that The Garlic Rose has been open in Downtown Cranford, Marc has seen a gradual shift in his customers. Young families have discovered the restaurant and enjoy how family friendly it is, as well as the fact that it offers a good value. However, he still sees over 50% of his business made up of regular customers. When the economy floundered Marc viewed that as his chance to set himself apart by offering even better food, service, and overall experience. 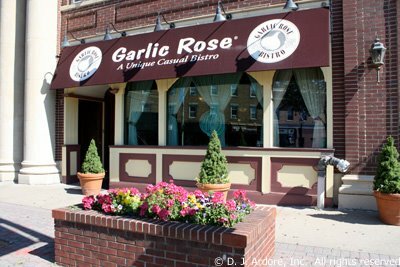 The Garlic Rose’s prominent location in Downtown Cranford has led to many people discovering it just by walking through downtown. In addition, many local employers book their business lunches and holiday parties as The Garlic Rose. In the upcoming months The Garlic Rose will host a Breakfast with Santa in conjunction with the Cranford Chamber of Commerce, as well as Breakfast with the Easter Bunny in the spring. 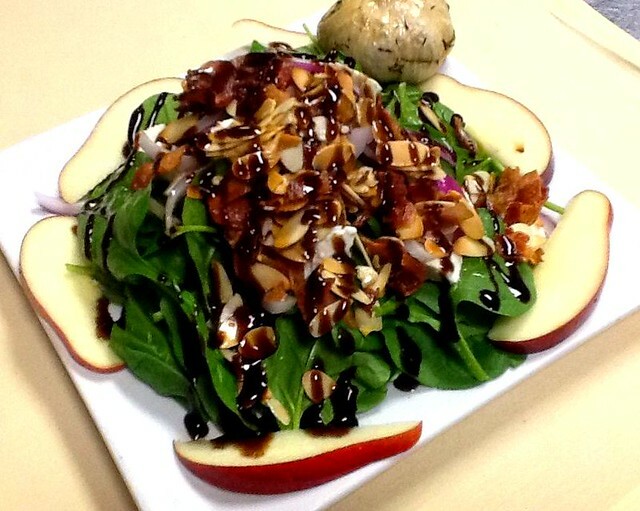 The Garlic Rose is a vital part of Downtown Cranford and offers an enjoyable dining experience, no matter your garlic preference. Next Celebrate Halloween in Downtown Cranford!